Custom built, Energy efficient home with 2x8 construction. Just a short walk to Lake Huron with sandy beach ACCESS. 4000sf home with 4 bedrooms, 2.5 baths, Great room, Family room, loft/office area, two fireplaces, Large open kitchen and dining room. Master suite on main level with private bath & large walk-in closet. Lower level includes a large family room with fireplace and French door to back yard, 2 bedrooms, full bathroom, workshop/hobby room and storage area. Laundry room on main level, deck off master bedroom and dining area, 2 car attached, heated, finished garage. Many more great features in this home, see associated documents. Municipal water available at road. NEW ROOF installed June 2018 with a Transferable warranty. THIS HOME IS NOT A DRIVE-BY. You need to view the inside and see the lovely back yard and wooded area. 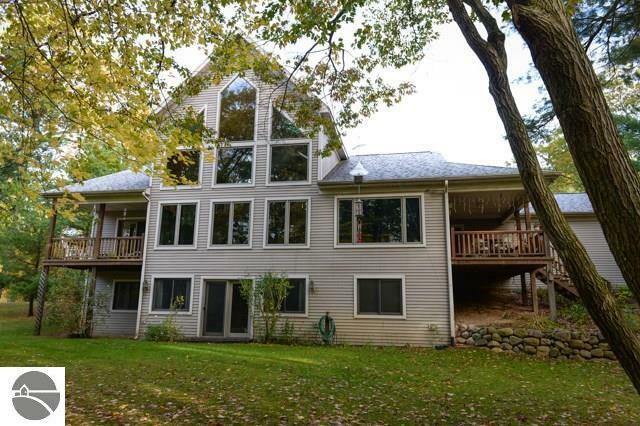 Waterfront: Sandy Bottom, Deeded Easement, Great Lake, Sandy Shoreline, Yes, 10 Ft.